Happy (day before) Valentine’s Day!!! 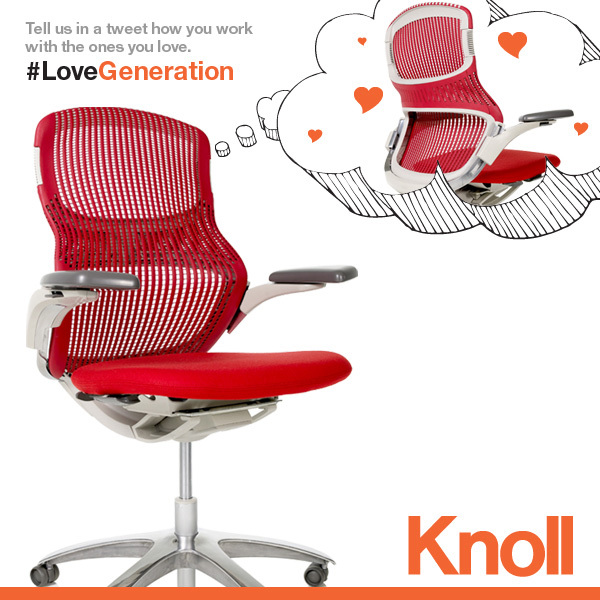 Our friend’s at Knoll have generously teamed up with us to giveaway a pair of Red Generation by Knoll chairs. Dubbed the “first chair that lets you sit how you want” ~ its flexibility allows you to sit in a variety of unexpected ways… perfect for a versatile office space ~ or home office! You can check out the unboxing of the Generation from last summer here. 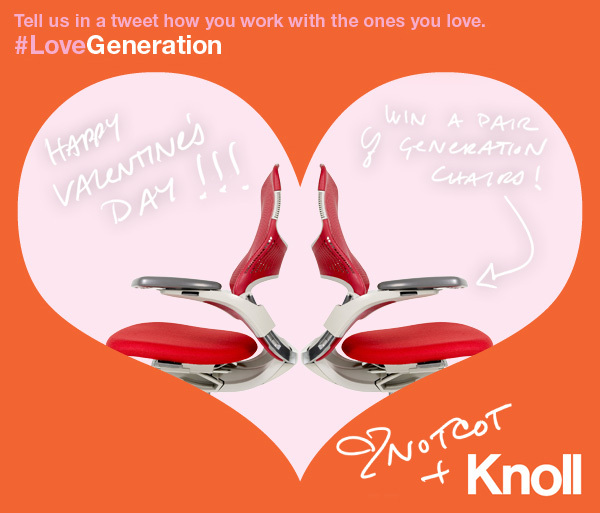 For a chance to win this pair of Red Generation by Knoll chairs for you and your loved one ~ tweet @NOTCOT with how you work with the ones you love and #LoveGeneration ~ and follow @knoll_inc and @NOTCOT so we can DM the winner! Please note that for this giveaway only US based winners will be eligible, and we will contact the winner via twitter on Feb 15th!